Former Real Madrid forward Predrag Mijatovic says Gareth Bale's best position remains a mystery. 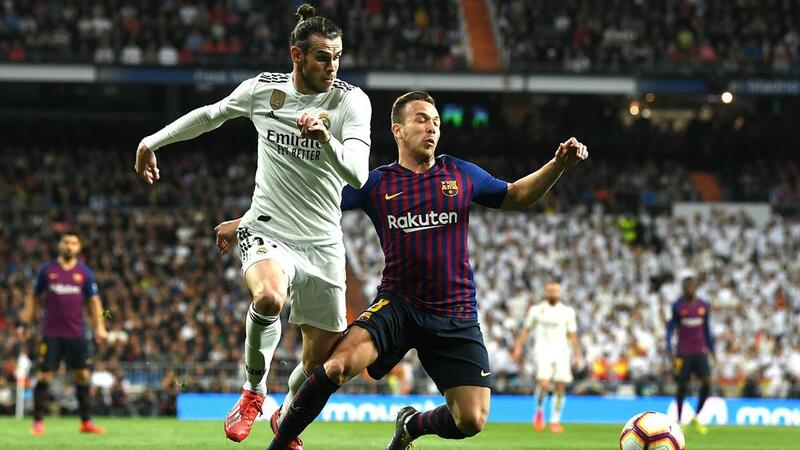 Former Real Madrid star Predrag Mijatovic claims Gareth Bale's best position is still uncertain after the forward was jeered off in the 1-0 Clasico loss to Barcelona on Saturday. Bale struggled to make an impact at the Santiago Bernabeu, where Ivan Rakitic's first-half goal sealed a second victory for Barca away to their fierce rivals in the space of four days, Ernesto Valverde's men having run out 3-0 winners in the Copa del Rey semi-final second leg on Wednesday. Madrid fans have looked to Bale to fill the void left by the departure of Cristiano Ronaldo to Juventus in July, but the Wales international, who moved to the Spanish capital from Tottenham for a reported fee of approximately €100 million in 2013, has managed just seven goals in 21 LaLiga appearances this season. Bale was booed by some supporters of Los Blancos upon his withdrawal by coach Santiago Solari in the 61st minute. SOLARI: BALE, MARCELO, ASENSIO "STILL IMPORTANT"
And former forward Mijatovic, who won the league and the Champions League for Madrid during a three-year spell from 1996 to 1999, feels the 29-year-old attacker remains something of an enigma. Speaking on Cadena SER, he said: "I want to ask a question, can anyone explain to me what position is ideal for Bale after five years?" "It's that when you put him on the left, the kid doesn't produce or suffer. On the right too. As second striker too. "Five years and, I'm not able to explain myself, in what position you should put him so that he delivers as he should."